Olivia Cleans Green: RI Food Swap at Craftland on Sunday! Calling all Rhody foodie friends: I've joined RI Food Swap to host an event at Craftland on this Sunday, September 29th 2-4pm. You arrive at a swap with edible items that you have made or grown. You leave a swap with edible items that someone else has made or grown. We hope this simple act of giving and receiving will connect you to the community and nourish your feelings of well-being. Still not quite sure what a food swap looks like? Watch this video of a food swap in Portland, OR. In addition to the items you'll be swapping, please bring a non-perishable item to be donated to the RI Food Bank. 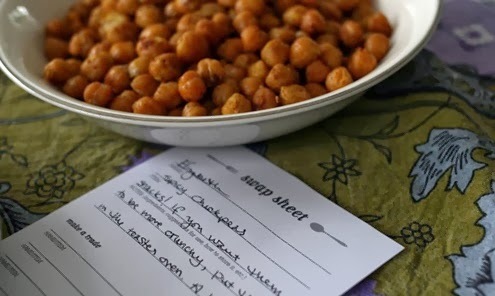 Also consider bringing samples of your items for taste-testing and a potluck dish to share with the group. Wondering what to donate to RI Food Bank? Check out the food bank wish list. As a bonus: Craftland is offering 10% off coupons to swappers! You can use them the day of the event or save them for holiday shopping. I'm really looking forward this food swap. It will be the first one I've ever been to. I'm baking vegan cookies. I hope to find some delicious savory treats, like soup. Have you ever been to a food swap? You can learn more about them and how to create one in your neighborhood at foodswapnetwork.com. hi Olivia! I wish we had one of these in kona! jealous, sounds so fun and such a good cause. I want a vegan cookie and some soup too! I wish we had events like this around me. I should try and put one together, but I barely have time to keep up on laundry and munchkin raising right now! is their good surf in rhode island. I told my hubby I had found some word of it online. we are planning to move in a couple years with one stipulation-the man needs his surf breaks. I was raised in Hawaii and West Coast, and I want to adventure out to the east coast...Have fun at your event! Mary, you totally need to get your childless friends to start a food swap in your city so then you can just go and have fun! We have lots of beaches here. I bet you could surf in them. I don't know for sure. I'm the only person in RI who doesn't like the beach.